Walk in wardrobes can be configured to any specification to easily organise your clothes, shoes, and accessories. A wide range of styles and finishes are available to suit all individual requirements. The result is a gorgeous finish that maximises storage space without compromising on functionality. 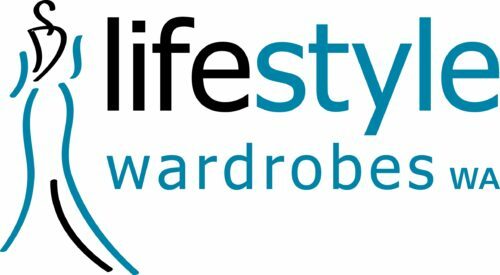 Lifestyle Wardrobes is an industry leader of custom storage solutions designed and manufactured to exact specifications. Our products are manufactured using high quality materials to ensure an unmatched standard of quality. A selection of styles and finishes can be customised to meet any configuration. This allows a great deal of flexibility in building the perfect setup for your room. Preferences vary for every individual and no two rooms are alike which is why every walk in wardrobe is custom made. Our designs can be adapted to any configuration, increasing the functionality of your wardrobe with a modern look. Your space is organised exactly the way you want it. Contact us today to arrange a free measure and quote for walk in wardrobes in Perth. Lifestyle Wardrobes specialises in the manufacture and installation of custom solutions. We create gorgeous designs that make the most out of any space without compromising on aesthetics. The result is a stunning finish that is completely unique just for you. Options can be arranged in any configuration to deliver a highly functional wardrobe with an elegant look. Our designers work closely with you at each design to help you choose the best options that fit all your requirements. View our walk in wardrobes gallery for examples of how yours could look like.